'You can never have too much butter'. I remember watching the film Julie and Julia for the first time and nodding enthusiastically at this profound insight. Somehow the French have always managed to keep butter as something to be cherished rather than something that will inevitably cause our hearts to slow and our waistlines to bulge. And the best way to enjoy butter is in traditional pastries—from flaky viennoiserie (think croissants, danishes, brioches), to rich and crumbly shortcrust to airy, layered puff. Brisbane's pastry scene is burgeoning so we thought we'd take a wander through our favourite spots and show you who's who in the choux (pun alert!). These are Brisbane's best bakeries and pattisseries to pick up a pastry. Flour & Chocolate in Morningside has forged a reputation as having the butteriest, lightest and most terrifically layered pastries in town. They certainly spoil you for choice with their incredible array of croissants (chocolate, choc-hazelnut, almond, almond-hazelnut, choc-hazelnut), danishes, and tarts. They also cater for savoury nuts with their sausage rolls, quiches, and savoury tarts. 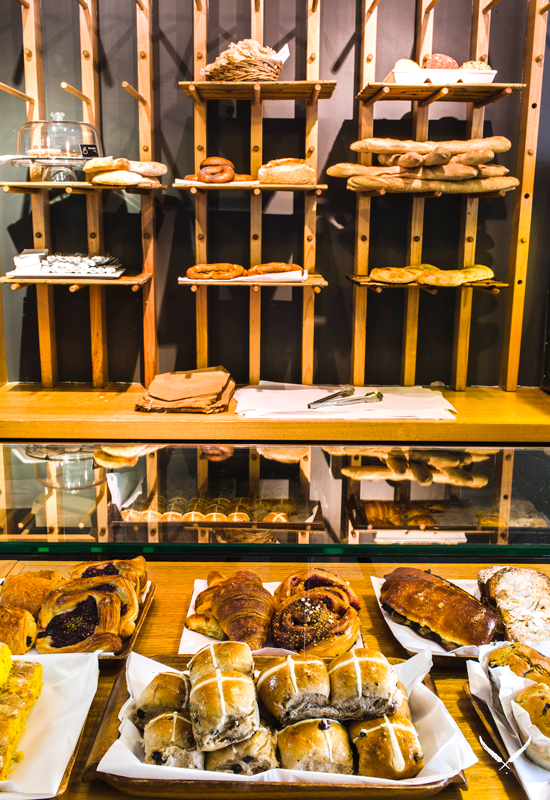 Visit the backstreets of Newmarket on a weekend morning and you're bound to see the queue snaking outside of the Red Brick Bakery that is now the home of Crust & Co. Their intimate shopfront is crammed full of baked treats ranging from flavoured croissants, danishes to sweet and savoury filled tarts. When we saw that they are now making homemade flavoured, rocky road our teeth started aching in anticipation. It's impossible to have a list of best pastries without including the Brisbane baking pioneer that is Jocelyn's. Treat yourself to flavoured tarts like bacon and spring onion or Mediterranean vegetable with olives and goats curd or mushroom, before moving on to lemon, poached fruit or chocolate ganache. The selection of cookies also take some beating, with classics like Florentines and melting moments always gracing the counter top alongside treats like fruity friands and rich chocolate bouchons. Stepping into New Farm's Chouquette is like transporting yourself to downtown Paris through their dedication to traditional techniques and products. Chouquette's eclairs (coffee, chocolate or vanilla) are a thing of beauty, both to the eyes and the tastebuds. Then again, their selection of authentic tarts take some beating including peach and pistachio, pear and almond or the ultimate test in patisserie, the Saint Honoré—a puff pastry base, choux pastry filled with a crème patissière and topped with a perfumed fresh chantilly cream. 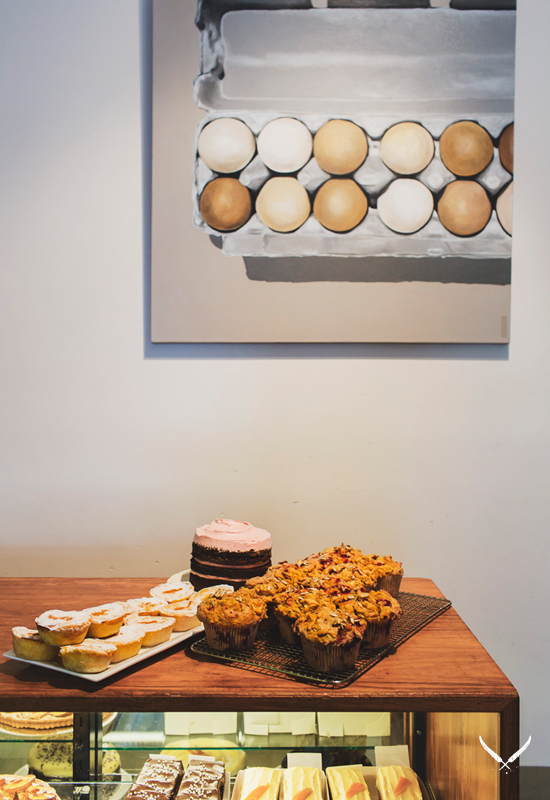 Beerkary Bakery, who have just celebrated their first birthday, are pushing the boundaries when it comes to pastry, bread, and the obligatory beer. Their latest product is a BB style flødeboller—a choc-coated salted caramel meringue on a malt cookie but we still love the beercarons and and beerclairs. Must try product: chocolate, crystal malt fudge cookie sandwich with caramelised white chocolate. We love Banneton's tarts, including apple nougatine, pear clafoutis and individual raspberry ganache. But if you're a fan of savoury, you have to check out their pie counter including the Guinness pies and sausage rolls that are fit for a tradies breakfast or a ladies lunch. TUL Note: Penny is a freelance food writer and obsessive cook, who has returned to Brisbane after ten years living in the UK and Melbourne. She is currently taking her passion for sweet treats one step further and learning the skills to become a pastry chef from her culinary idols, documenting her experiences through her blog Project Pastry. Want more from Penny? Click here!